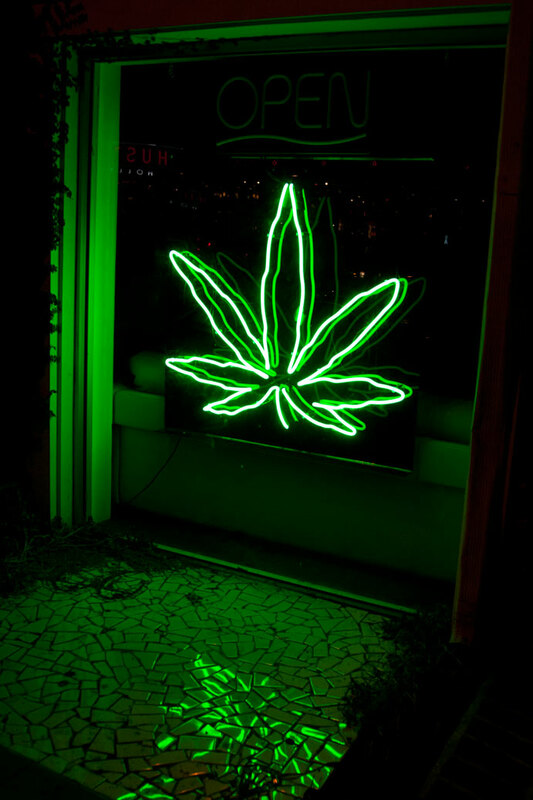 Sign blog: Pot Leaf in Neon--Is Marijuana Signage Increasing? I understand that advertising today has become an extremely important in order to sell any product. No matter that marijuana is approved or not, is public, so I see nothing wrong with stores that sell it lawfully entering can use their image as advertising. I understand that this is a very controversial topic, because marijuana is itself sometimes adopted by society and sometimes not, depending on the type of society. But advertising today is very comprehensive and I think that at least in the cities where it is allowed to use it, the blade can be used for advertising. There is no shyness in CO about the business. Even real estate management companies advertise their properties as 'Zoned for MMJ'. It's a strange new world. I'll take some pics.